Orla Kiely's designs manage to be both contemporary and retro at the same time, and these curtains are no exception. This eye-catching print is instantly recognisable and will bring a lot of style, and a touch of homeliness, to any room. The striking design provides a feast for the eyes, and works well with a wide range of room styles and colour choices. 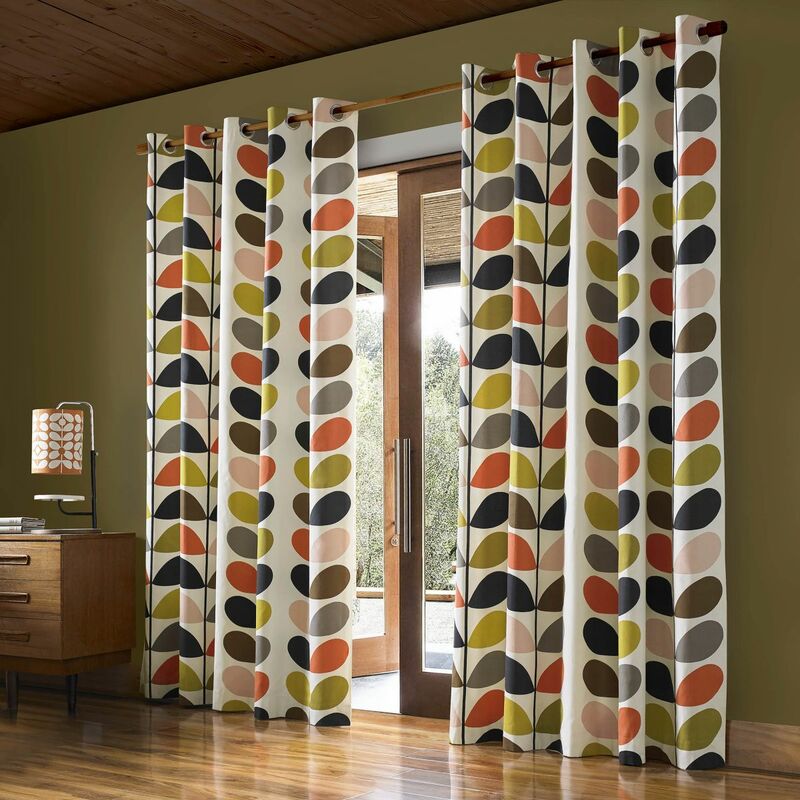 Bring a modern classic of design into your home today and turn your windows into works of art!